The horror-fixated lads and ladies and tireless indie imprint Uncork’d Entertainment are once more about to unleash something evil as they prep Robert Conway’s The Covenant (not to be confused with the upcoming Alien: Covenant) for release this coming February. Synopsis: After the tragic deaths of her husband and daughter, Sarah Doyle moves back to her childhood home with her estranged brother, Richard. It’s not long before Sarah begins to experience supernatural phenomena of a violent and hostile nature. Bewildered and desperate, Richard enlists the aid of a paranormal investigator who confirms that Sarah has become possessed by a powerful demon. Together, the three men will go to battle to save Sarah’s soul. The low-budget but super spooky flick is directed by Conway (Krampus Unleashed), and stars Monica Engesser (Krampus the Reckoning), Clint James (The Encounter), Owen Conway (Exit to Hell), Sanford Gibbons (Tombstone), and Maria Olson (Ravenwolf Towers). 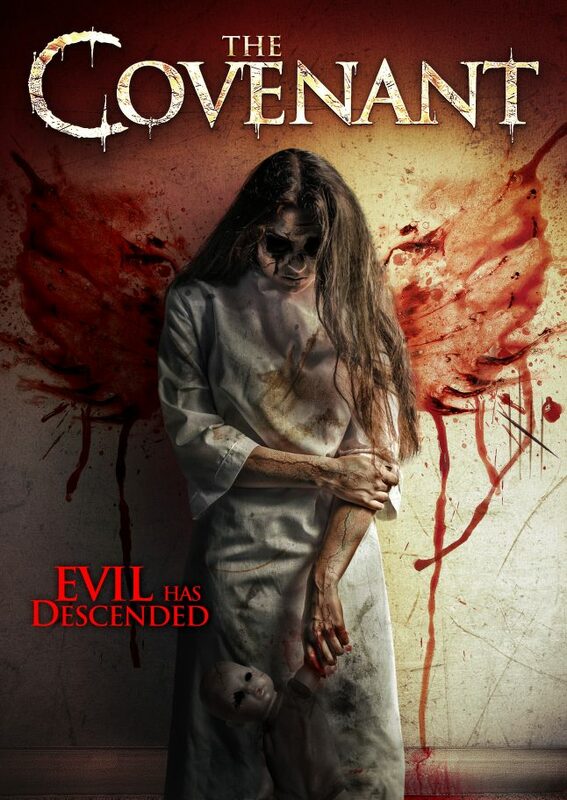 The Covenant hits February 7th on VOD from Uncork’d Entertainment. A DVD release will follow. Check out the trailer below!